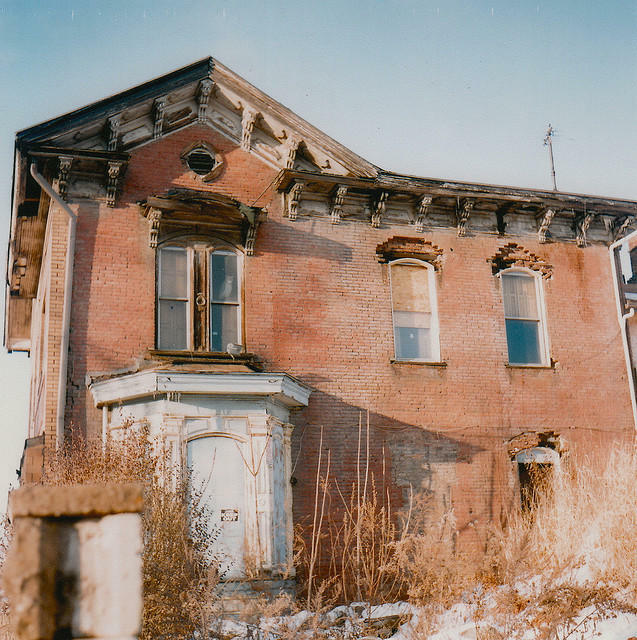 This abandoned house is just one example of the properties that the Pittsburgh land banks plan would hope to re-utilize for a new purpose. Earlier this year District 7 Councilor Deb Gross introduced legislation to develop a Land Bank in Pittsburgh. The system would operate as a repository for properties that often have little prospect of redevelopment. District 5 Councilor Corey O' Connor is a supporter of the concept. He and Councilor Gross say the idea is to create a system to get abandoned properties publicly inventoried and marketed for re-use by neighbors, community groups, developers or realtors. Gross says a new system is needed because the previous solutions aren't effective enough. "Unfortunately, we have allowed this problem to get to a scale where our treasurer's system isn't making a dent in it. And so that's why we need a new tool that will work on this day in and day out...we essentially are already squatting on them. The city has taken possession and we're not doing anything with them." She says the number of abandoned properties comes from Pittsburgh's overcrowding a century ago. "This land used to all be in private hands, this was somebody's house, or somebody's yard or somebody's home. And over the decades of population movement these lands have all been abandoned. They're vacant properties or they're empty homes because we know that we have lost more than half of our population. So when we set up our city and its capacities nearly 100 years ago, this was never part of the job. This land was all occupied, in fact we were over occupied. Less than 100 years ago, blight was overcrowding." But, as the problem of overcrowding ended, a new problem was created. "Now we have the opposite problem," says Gross "And we have not addressed our capacity inside of city government in order to do this job very well. So it is helpful to have an entity, a new agency, a new non-profit corporation that can just do this full-time because we just haven't been doing it at nearly the skill that it needs to be done." Around 200 people spoke at last week’s public hearing on Councilwoman Deb Gross’s land bank legislation, according to Gross’s chief of staff Nathaniel Hansen. At least one of those people, Josh Caldwell of the Pittsburgh Real Estate Investors Association, has gone public with his proposal for fighting urban blight. Pittsburgh’s newest City Council representative, Deb Gross, won out against four other candidates in a special election, after District 7 representative Patrick Dowd vacated his seat in July. Gross took her seat at the beginning of December, one of the busiest times of the year for the council.